In April, one intrepid internetter showed us what NBC’s Friends looked like without a laugh track. The answer, it turned out, was deeply, thuddingly awkward, as the actors were directed to leave in beats for the canned cackles and, as such, tended to float in a thick air of silence in after each joke. A similar disconnect is achieved in the below clip, which, instead of eliminating the laugh track completely, simply slots in the stoned, throaty guffaws of actor Seth Rogen. 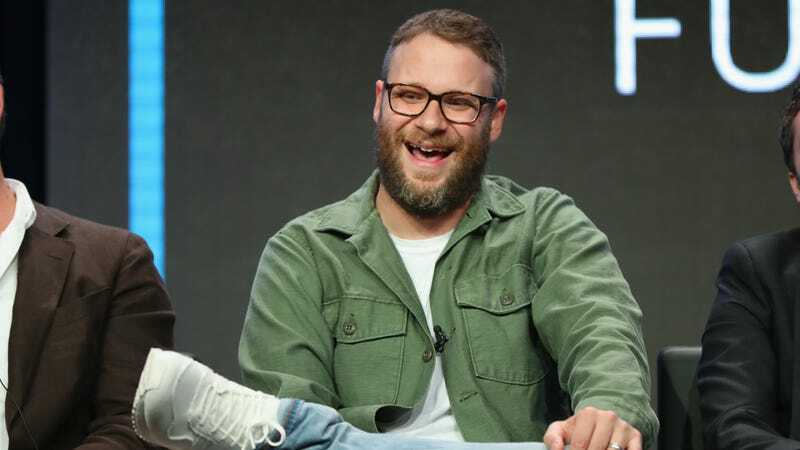 The effect is that all-too-relatable image of Rogen, clad in sweat pants and Cheetos dust, chuckling to himself in an empty apartment as reruns loop before his bleary eyes. Well, that or a live studio audience populated by no one aside from Rogen, which is equally amusing. Really, though, it just serves as a further reminder of just how weird laugh tracks are, and how they so often served to compensate for jokes that were so bad we had to be told they were jokes. Anyways, if you enjoy this, here’s Ricky Gervais’ shrieking cackle punctuating the Big Bang Theory’s best gags. The effect is, well, not nearly as pleasant.